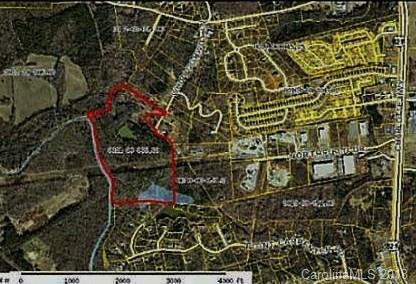 Almost 60 acres of beautiful property located just off 521 in Indian Land South Carolina. Property would go to Indian Land Elementary, Middle and High Schools. Ready to be developed into a gorgeous new subdivision. Land is currently zoned for Low Density Residential District (LDR) which is 1.5 houses per acre or about 80 houses. Could be rezoned to Medium Density Residential District (MDR) which would be 2.5 houses per acre or about 130 houses. Offered by Edge 5 Realty Inc. Copyright 2019 Carolina Multiple Listing Services. All rights reserved.